These commonalities can be used to group the customers into a segment. You can also use Profiles to refine existing master segments and segments. Does your segment have too few customers? Does your segment have too many customers for personalized communication? Are the segment parameters are not specific enough? Before you can use the Profiles view, the master segment must exist. See Master Segments. Select Profiles. The list shows the unique identifier for each profile, as defined in the Master Segment. Select a specific customer or account. 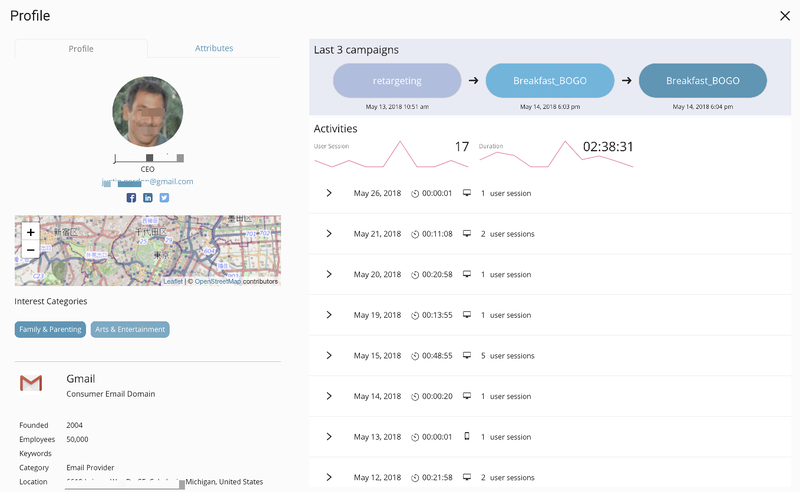 The Profile tab groups data by customer (or account) sessions and by campaign. Automatic inferencing is also applied to the data. For example, using an IP address, a customer location is inferred. Also central language processing is applied against the data so that, for example, based on type of pages visited, topics of interest can be inferred. The attributes are defined when you build the master segment. The attributes specify attributes of the customer or account that you want to track and focus on. 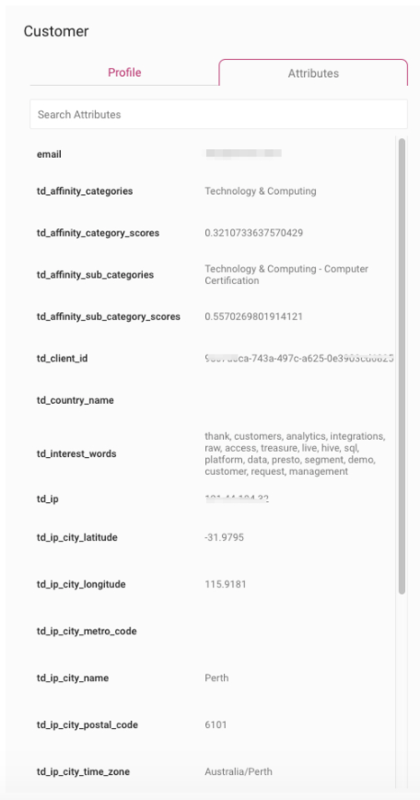 For example, td_client_id, td_country_name, and td_interest_words.